HomeLive ReportingPoker ToursWSOP2018 World Series of PokerEvent #76: $3,000 H.O.R.S.E. A total of 354 runners showed up for Event #76: $3,000 H.O.R.S.E. at the Rio All-Suites and Casino for the final mixed tournament of the series. 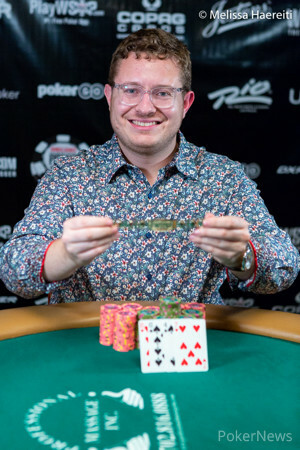 When the final curtain came down, it was Brian Hastings taking home the prestigious World Series of Poker bracelet and an astounding $233,202 first-place cash prize. Hastings bested Andrew Brown heads-up, who took home a respectable $144,128 for his efforts. Hastings came into the final day of the tournament as the chipleader with 19 players remaining. He was the shortest stack at one point during four-handed play, but rallied back to win it all. When asked how he was feeling after winning his fourth WSOP gold bracelet, Hastings was very delighted. "It feels amazing, this was my last event of the summer and I had a couple of runs before this, but to end it this way just feels great." Hastings had an uphill battle in front of him when heads-up play began, but that didn't stop him from pulling through. 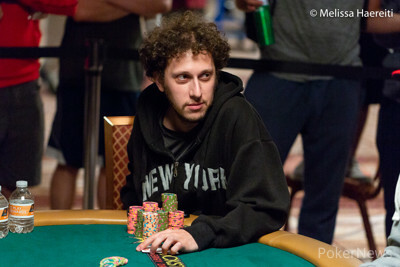 "I came into heads-up with a four- or five-to-one chip disadvantage, but the cards ran my way and I made a few hands. Andrew is a good player and things just went my way." This being the fourth gold bracelet of his career, Hastings said it had a little more meaning than the previous ones. "I'm at a different stage in my life right now. I'm getting married this year (to his fiance Sonya), I'm looking at buying a house, so this will go a long way to that." Sonya was Hastings' biggest supporter on his path to victory, standing on the rail throughout the entire 12-hour day, cheering him on. 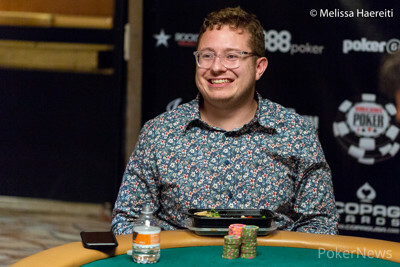 The official final table bubble, who took ninth place, was Jesse Hampton after he moved all in with tens during the hold'em round and could not hold against Dutch Boyd. Bruno Fitoussi would be the next person to hit the rail when his aces failed to hold up in Omaha hi-lo against Lee Markholt. Boyd had a roller coaster of a final table but could not survive a runout in razz against Tim Marsters, who would take down the hand with his eight low. One of the leaders coming into the final table was Hye Park who would end his day on the hold'em round when he ran into Madsen's two pair, being eliminated in sixth. It was Markholt making his way to the payout desk in fifth when he ran a bluff into Hastings who made a very bold call. Four-time bracelet winner Jeff Madsen would be yet another player to hit the rail during the hold'em round, running into Hastings' big slick, and getting eliminated in fourth. Marsters found himself taking an exit during the Omaha hi-lo round when he shoved his stack in on the turn and was called by Hastings who had him drawing to just a quarter of the pot. Marsters did not get there on the river and Hastings sent him home in third. The heads-up play started with Brown having a four-to-one chip lead on Hastings and all the momentum. Hastings slowly battled for chips at the first of heads-up, but after two big hands he quickly took over the lead. 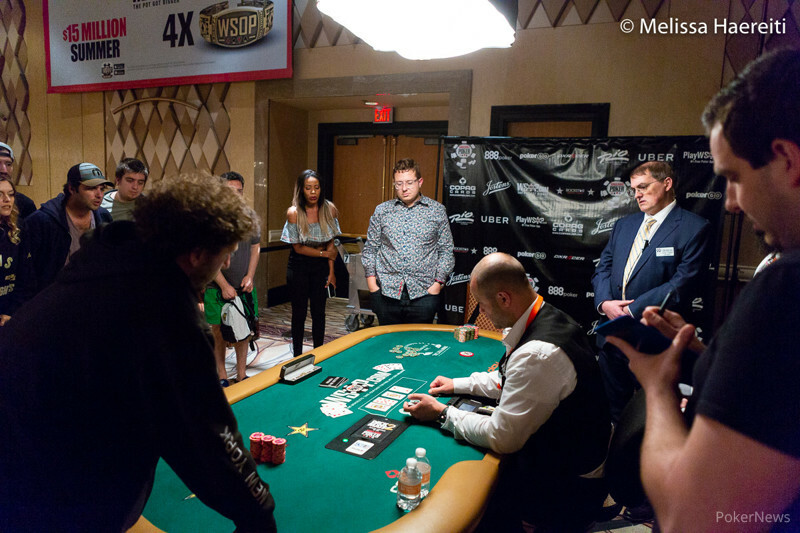 Once in the lead, Hastings never turned back as he whittled away at his opponent's stack. 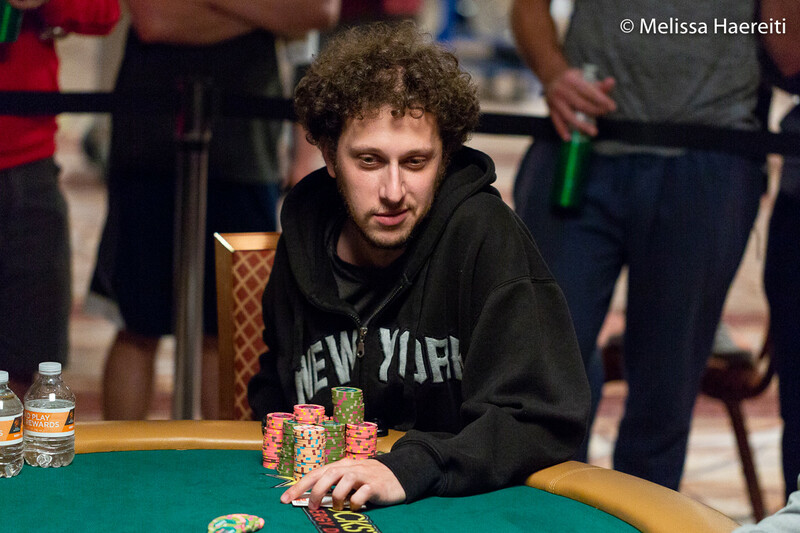 Brown would head out the door during the Omaha hi-lo round when he moved all in before the flop. Hastings made the call and would make a stronger two pair on the river to capture the pot and eliminate Brown in second place. The PokerNews live reporting team will be back tomorrow to bring you full coverage of Event #78: $1,000,000 The Big One for One Drop. Brian Hastings raised on the button and Andrew Brown moved all in for his last 300,000 chips from the big blind. Hastings called and the cards were face up with Brown at risk. The flop came and Hastings remained in the lead with his pair of tens and no low draw possible. The on the turn gave Brown the advantage with nines-up and a flush draw, but the on the river counterfeited Brown's two-pair. Hastings would be pushed the pot with his better jacks-up, and Brown would be eliminated in second place for $144,128 in prize money. After a whole round of hold'em and half a round of Omaha hi-lo, Brian Hastings has Andrew Brown in dire straits as he looks to finish out the tournament. Brian Hastings raised it up on the button and Andrew Brown defended his big blind. The flop came and Brown check-called a continuation bet from Hastings. The turn brought the and Brown checked again. Hastings tossed in another bet and Brown continued to call. The on the river paired the board and Brown checked for the third time. Hastings barrelled one more time and Brown took a minute to ponder his decision. He eventually threw his cards to the muck and Hastings raked in the pot. Andrew Brown completed, Brian Hastings raised, Brown three-bet, and Hastings made the call. Brown bet until seventh where he check-called a bet from Hastings. Hastings tabled for trip fives and Brown mucked his hand. Brian Hastings was the bring-in and Andrew Brown completed. Hastings made it two bets and Brown just called. On fourth, Brown check-called a bet from Hastings and then checked again on fifth. Hastings fired another bullet and Brown turned his cards face down and into the muck. Andrew Brown raised the button and Brian Hastings defended. The flop was and Brown bet, Hastings raised, and Brown called. On the turn, Hastings bet, Brown raised, Hastings three-bet, Brown four-bet, and Hastings called. Both players checked the on the river. Hastings showed for trip deuces with a queen kicker, but Brown tabled to outkick Hastings' trips and scoop up the monster pot to take a sizable lead. Andrew Brown completed with his two and Brian Hastings raised. Brown called. Brown bet until sixth when both players checked. On seventh, Brown check-called a bet from Hastings who showed for two pair and Brown mucked his hand. Hastings completed and Brown raised. Hastings made the call. Brown bet until seventh where Hastings took over and Brown made the call. Brown turned over for a pair of kings and Hastings mucked his hand. A Winner Will be Crowned in Event #76: $3,000 H.O.R.S.E.